A couple of years ago, I was scrolling through Tumblr when I came across a photo of the most incredible looking place: a town covered in snow, jutting out into a vast lake, surrounded by mountains. The image struck me so much that I did a bit of research to find out where it was taken. 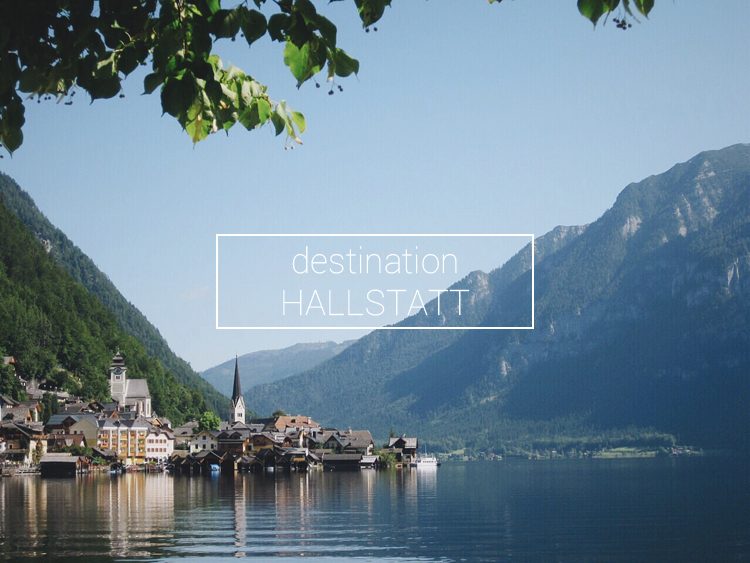 The location, it turns out, was a small town in Austria called Hallstatt. I filed this bit of information away until it was time to start planning my eight month long holiday in Europe. 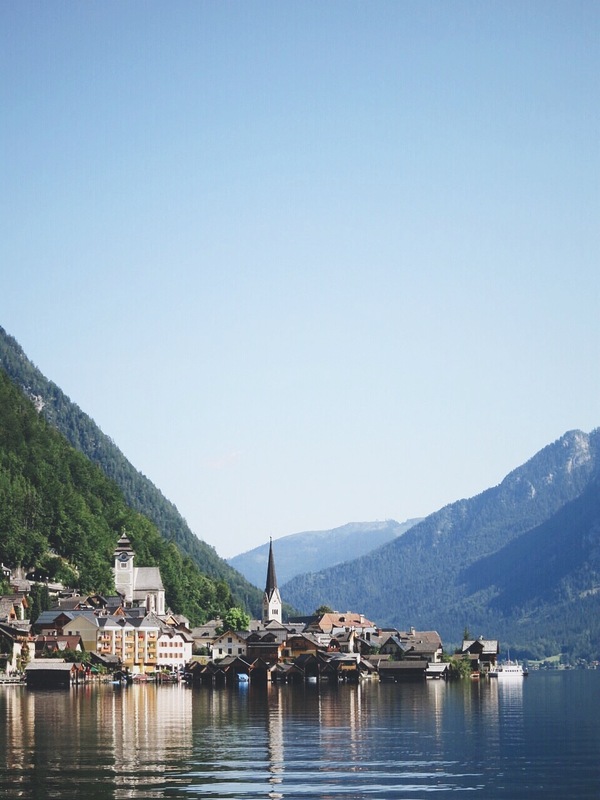 Hallstatt is a village in the Salzkammergut region in Austria, and is beautifully framed by mountains and a lake (Hallstätter See). It is truly one of the most picturesque locations I have ever visited; so stunning it hardly felt real. While I didn't visit it when it was covered in snow, it was the middle of summer and the most perfect weather for exploring and swimming! 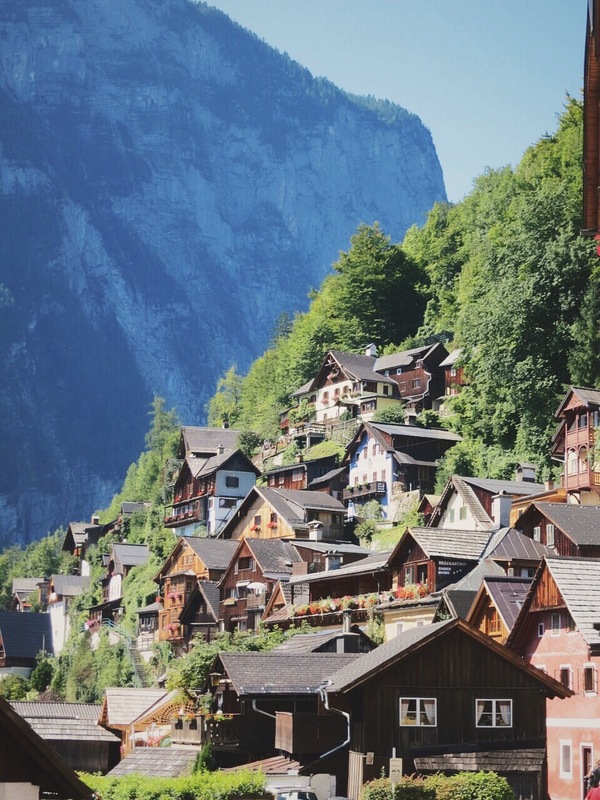 The village itself is filled with gorgeous traditional Austrian houses, many of which are built into the mountain. I felt as though I didn’t turn my camera off the entire time I was there, everything was so lovely! 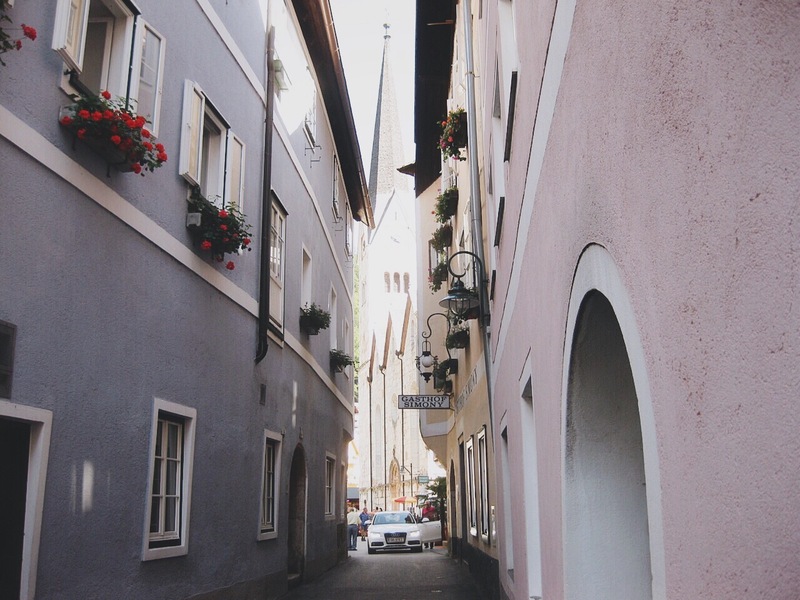 Each street shows you something more charming than the last, and just when you think you’ve seen it all you arrive at the lake, with swans and ducks waiting to be fed. 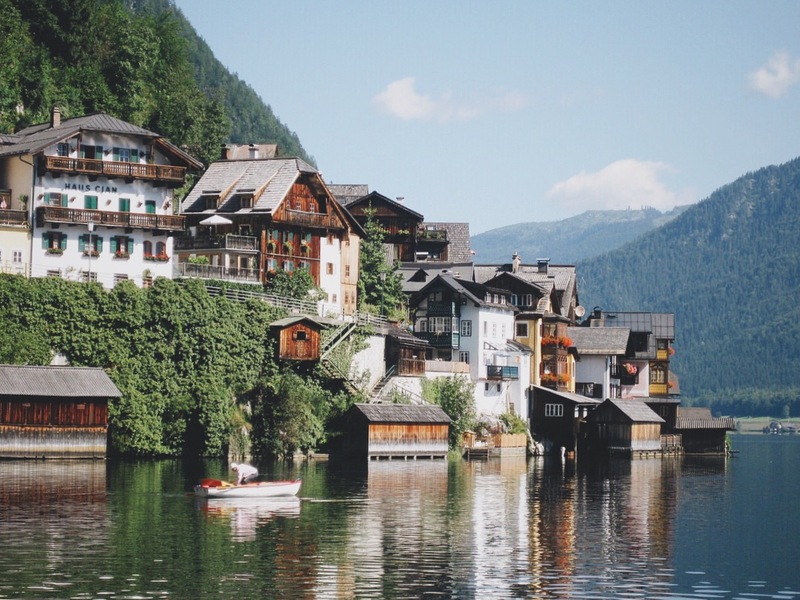 It’s like a fairy-tale location, truly. Just outside of the town is a cable car to the top of a nearby mountain. 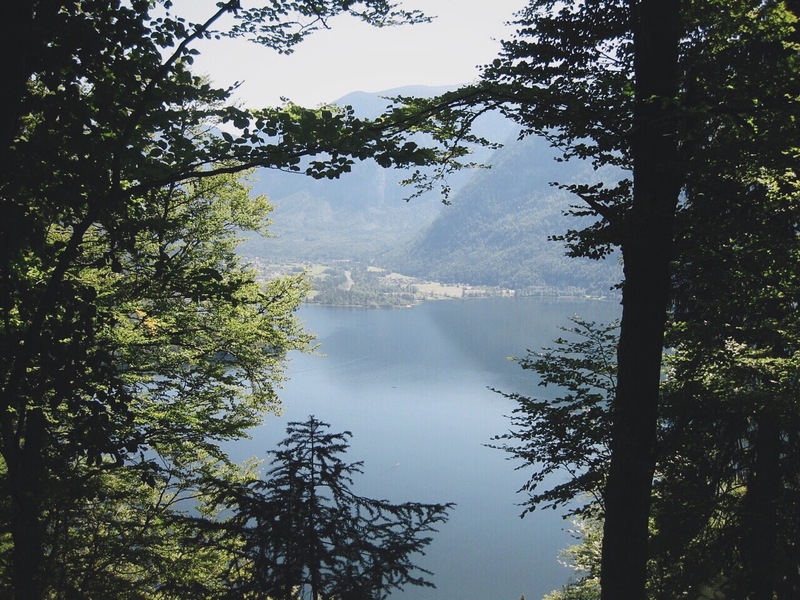 I highly recommend doing is, as there is a fantastic viewing platform to see the lake and the small villages dotted around it. There’s also a restaurant and café there too, where I indulged in the great Austrian past time of apple strudel and glass of apfelschorle while enjoying the impressive view. 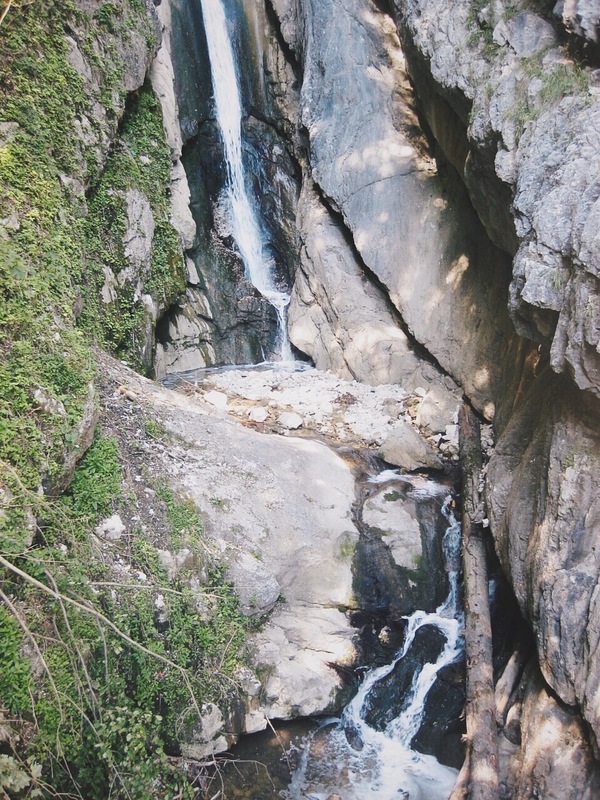 When it’s time to go back, walking down the mountain is a great way to enjoy the scenery at your own pace. It only took about an hour to descend, and there were plenty of nice things to see on the way. 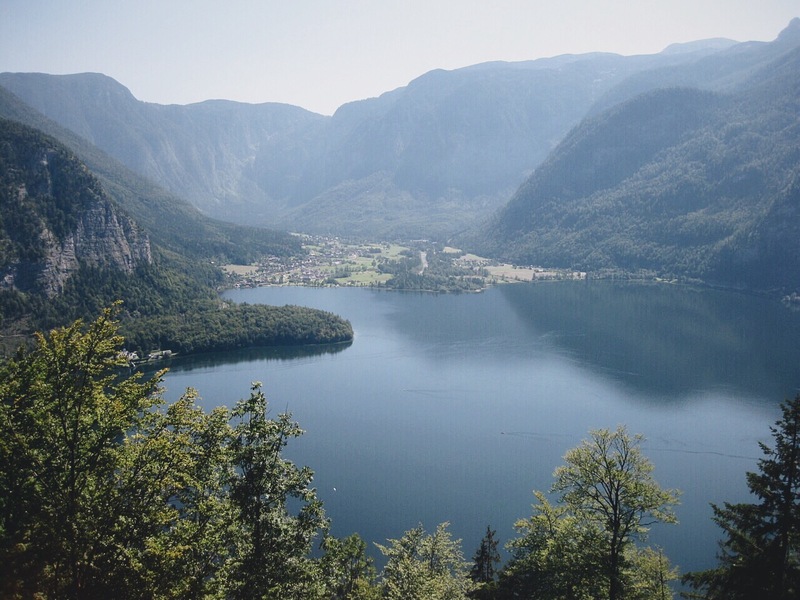 Once back in Hallstatt, I found a small, grassy island just outside the village that was a perfect location for swimming in the lake and sunbathing. There’s nothing quite like swimming in a lake when you’re surrounded by mountains, it’s definitely an experience I’ll never forget. It was so still and peaceful; so unlike the oceans I grew up swimming in in Australia. 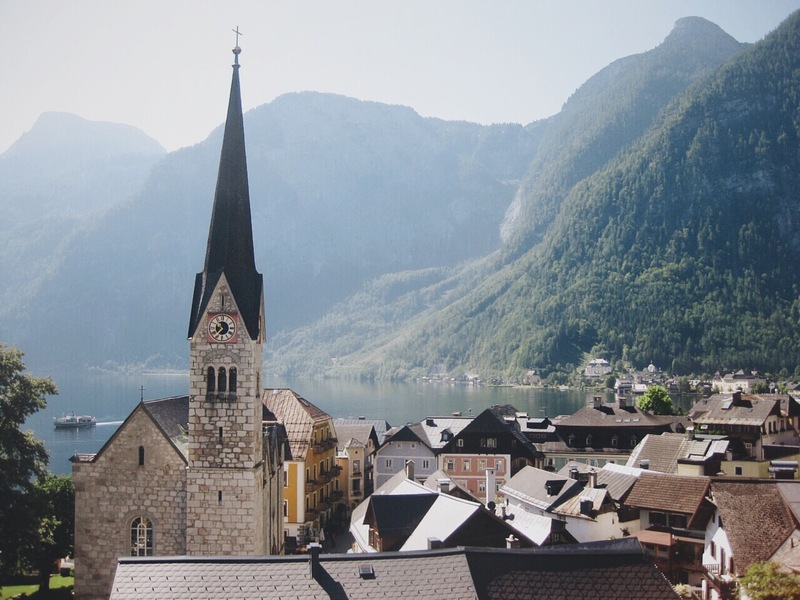 I enjoyed my time in Hallstatt so much that I'm actually going to be returning there when I travel back to Europe in June. 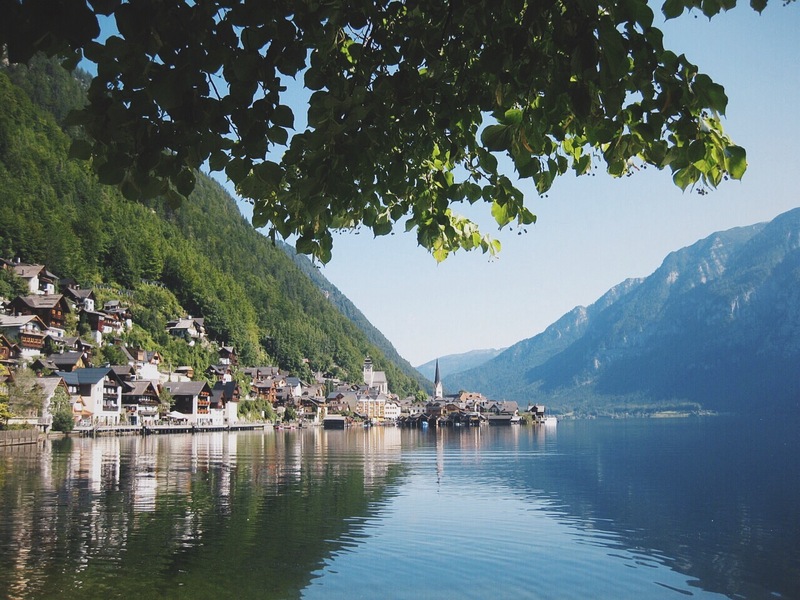 I'm so excited to experience this wonderful village again, and hopefully it will be warm enough to swim in the lake again!